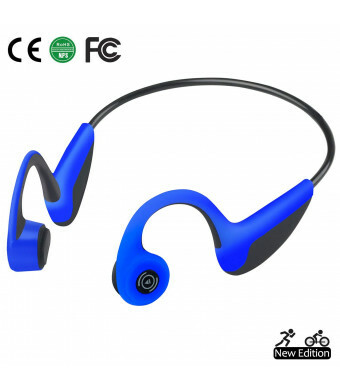 BONE CONDUCTION TECHNOLOGY,PERFECT CHRISTMAS PRESENT Works by vibrations, sound transmit via cheekbone to your cochleas, which avoids hearing impairment compare to ordinary earphones. 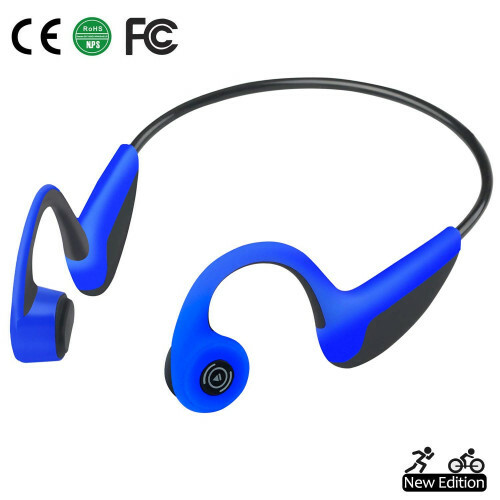 Open-ear design helps you stay alert to your surroundings, avoid danger and meanwhile enjoy music. CHARGING TIME AND BATTERY LIFE Each side of earphone has built in 200mAh lithium battery. Full charge take 2 hours, Standby time 10 days and play time around 5 hours. Suitable for outdoor activities. DESIGN FOR SPORTSIP55 waterproof to resist light rain and sweat for outdoor activities, such as jogging, cycling, running, driving etc. Use ABS + titanium alloy enable the headphone lightweight but more durable. Ergonomic design for comfortable wearing make sure you do sport freely never worry about falling out. WARRANTYWE PROVIDE 60 DAYS HASSLE-FREE RETURN POLICY and ONE YEAR WARRANTY, your purchase is totally RISK-FREE. Contact us if you meet any issues.